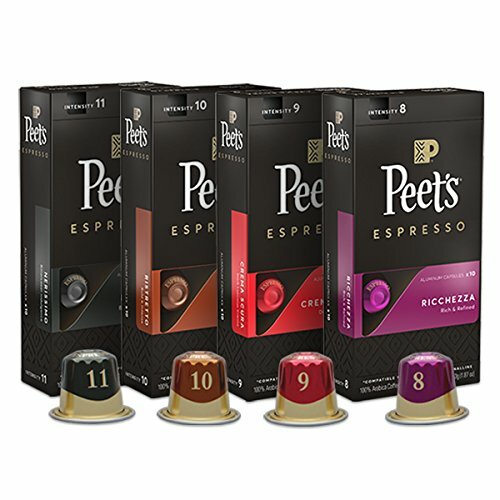 COMPATIBLE WITH THE NESPRESSO ORIGINALLINE*: The boldness of Peet's signature dark espresso is now available in a convenient capsule designed to fit your Nespresso OriginalLine* brewer. These pods will deliver the perfect at-home espresso every time. ALUMINUM CAPSULES: Hermetically sealed to preserve aromas and deliver a more intense espresso experience and a richer, smoother, and creamier foam. They offer stable brewing, an exact pull, and more consistent interaction with Nespresso brewers.